Although it is generally known, I think it's about time to announce that I was born at a very early age. Congresswoman and Presidential Candidate, Maria Corina Machado, with the courage that only a Latina can have, stood up and faced President Hugo Chavez, as no one has ever done before in Venezuelan history, and called him a liar and thief. The Washington Project for the Arts’ Alice Denney Award for Support of Contemporary Art was initiated in 2006. It is named for the founder of WPA, Alice Denney, and is presented annually to an individual who has supported the organization for many years and has made a sustained commitment to the greater DC arts community. 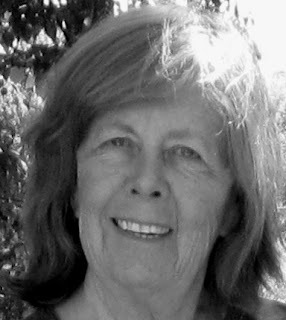 This year’s honoree, Molly Ruppert, will receive the award at the SELECT exhibition opening reception on February 11, 2012. Molly Ruppert is one of those key instruments that makes up the DMV's cultural orchestra and which, in concert with the other instruments, makes our cultural art scene one of the best on the planet. Think of her as the big bass drum, or the cello, or the harp; any of the real key instruments without which the symphony is off and out of synch. Also think of her as working behind the scenes as well as leading it. Molly - and the entire Ruppert clan have been a powerful force in the DC arts scene. With the multiple opportunities the Warehouse Arts Complex have given over the years, Molly and her family have been one of the most commited supporters of the arts in our region. Personally, I am also indebted to her. When I curated the epic exhibition known as "Seven" for the WPA a handful of years ago, it was Molly who stepped up and offered the entire Warehouse complex to house all the WPA artists whom I had selected. I was very pleased by the spectacular success of that show, but even more pleased when I ended up also meeting there, at one of the talks, the woman who would become my wife and best friend.